VILLAS AND APARTMENTS TO RENT IN MIJAS COSTA, SPAIN. 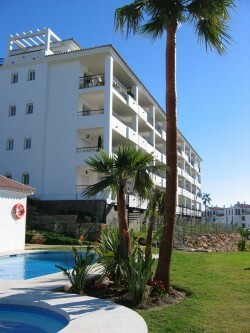 Welcome to our selection of holiday homes to rent in Mijas Costa, Spain. Mijas Costa is the part of the municipality of Mijas which covers the 12 kilometre stretch of coastline with popular holiday destinations including La Cala, Calahonda, Riviera del Sol and Sitio de Calahonda. There are water sports in abundance: jet skiing, water skiing, wakeboarding, windsurfing and parapenting. Or you can dip into the sea with a scuba dive or drop a rod and try a little fishing. A quick visit to Fuengirola can charter you a boat and teach you the sailing necessities, and provide you the essential equipment to patrol these coasts. Looking for self catering holiday accommodation in Mijas Costa? 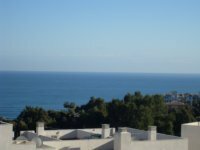 Then below is a selection of holiday apartments in Mijas Costa and holiday villas in Mijas Costa that can be rented direct from their owners. You can either click on each listing for further details or you can use our search engine on the left if you are looking for something in particular.